Nothing feels more like home than your city's skyline. Take in the view of One City Place, the National WWI Museum and Memorial, and so many more iconic buildings with this navy, super soft all cotton tee. 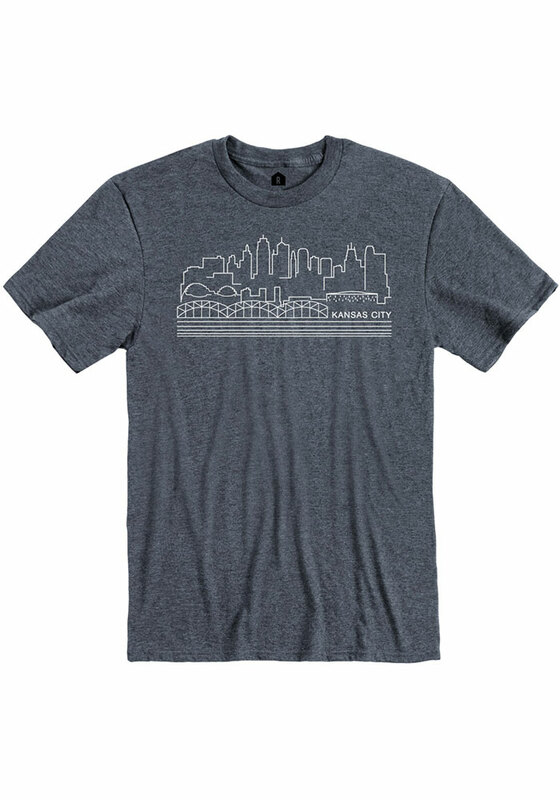 This t-shirt features a screen print of the Kansas City skyline on the front center chest.